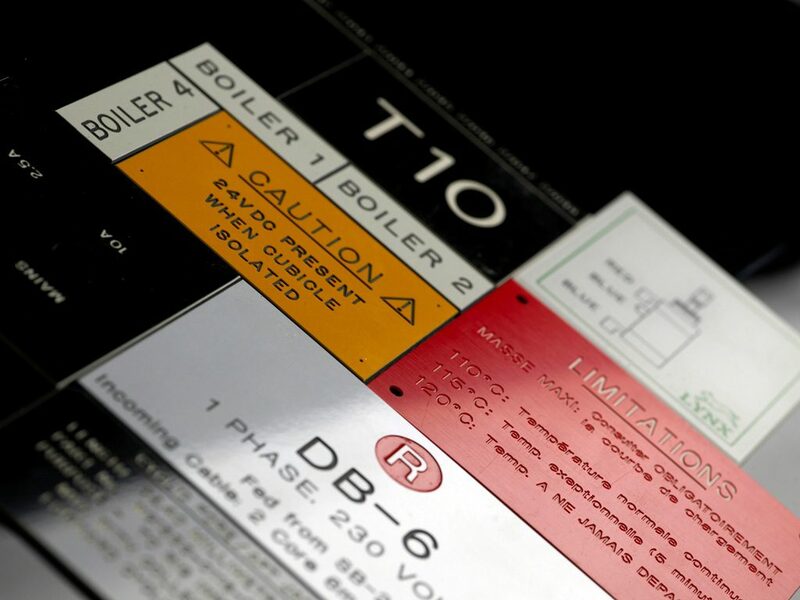 As an electrical contractor, GB electrical has a constant need for traffolyte labels. Fortunately, BIE Magnum keeps the company in constant supply. With the company's label requirements invariably agreed over the telephone, the process is easy - GB electrical specify: BIE Magnum delivers. Whatever shape, size or colour, BIE Magnum produces traffolyte labels to GB Electrical's precise specifications on time, every time.